The relation of insects to man, to other animals, to one another, and to plants, with a chapter on the war against insects. The insects' influence upon humanity, directly and indirectly, is vastly greater than is generally realized. 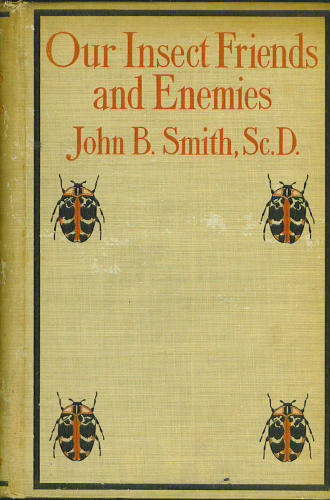 A manual for entomology and arachnology. Techniques to collect, process and prepare insects and arachnids for study are presented, as well as important information on how to preserve and curate material in a reference collection. by James Henry Emerton - Ginn & Co.
A small and simple book for readers who want to know a little about spiders in general and especially those species that they often meet with. It is hoped this book will answer the purpose and help to lessen the prejudice against spiders. The cockroach is truly an evolutionary wonder. The book explores the fascinating natural history and behavior of cockroaches, describing their various colors, sizes, and shapes, as well as how they move on land, in water, and through the air.